Several Speech Pathology Job in the Los Angeles, CA area! 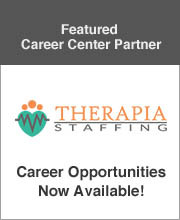 We have several job openings for Speech Language Pathologists in the Los Angeles, CA area for the 2013/2014 School Year! *Full-time (35 hrs/week)*Students of all ages*Students of varying exceptionalities*Interviewing now! Full-Time SLP for the 2013-2014 school year in Los Angeles, CA!